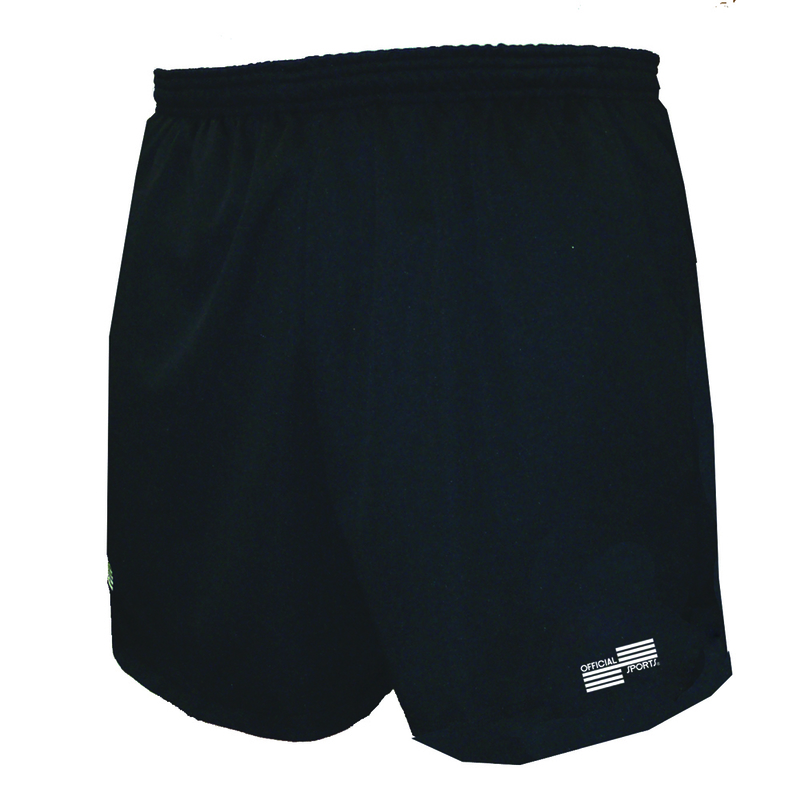 These Official Sports USSF Coolwick Longer Inseam Shorts in Black are cut 2" longer. The Coolwick shorts feature a lightweight poly Coolwick fabric to wick moisture way from your skin, which is the same fabric used in Pro shirts. The athletic cut offers great comfort and fit while running down the field. A rubberized inner elastic waist drawstring provides a secure tuck to hold your shirt in place. Velcro closed back pockets stay flat and two generous side pockets, as well as an inside coin pocket can hold your referee gear. USSF logo on right leg.